If you are unfamiliar with the format and purpose of this program, please read the mentoring program page. Group leaders are in charge of the discussion for each meeting and orchestrating what will be needed to demonstrate/discuss the topics being covered. This includes bringing the right gear if you are doing demos, telling mentees what gear they should bring, etc. Assistants contribute to and participate in the demos and discussion, and also in charge of communicating with the mentee group — this will include sending reminders for the meetings, and helping disseminate information for the group trip. The group leaders and the assistant should discuss and plan the trip together. All groups have at least 1 group leader and 1 assistant; some have 2 leaders and 1 assistant, or 1 leader and 2 assistants. These pairings will be determined based on how many mentors we have for each topic. We have created curriculum outlines to assist group leaders in determining the appropriate content and level of complexity that can be covered in each session. Our intent is that the curriculum can be a mix of discussion and demo, whatever the leader thinks is best to communicate the ideas. You can read a brief overview of each group curriculum here. This program runs twice per year (January–April and August–November), but you only need to commit to one session. Your group will meet 4 times over the duration of the 4 month program, with a trip as your last meeting. You are expected to attend all meetings and the trip. Once you are placed into the program, we will reach out to you to determine the most convenient days, time and meeting place for your group. In addition to the small group meetings, we will also have monthly social "meetups" for all mentor program participants. You are not required to go, but it is a great way to meet other people in the program! All mentors are required to have a minimum of 3 years of experience climbing/mountaineering outside. Group leaders must have at least 2 years of leading in their chosen topic; assistants can be less experienced but well-versed enough to be confident in answering questions and helpful to the leader. 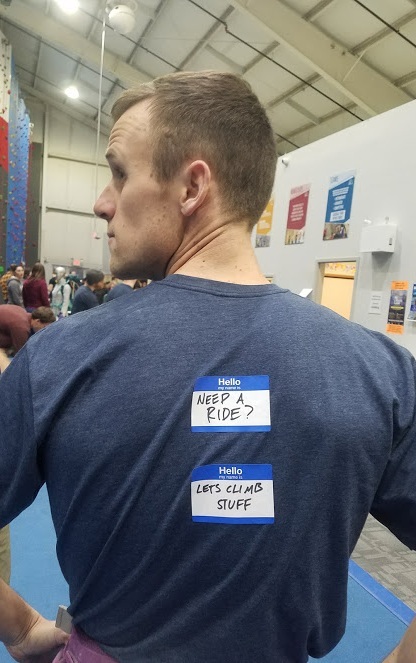 We also look for climbers who can identify safe climbing practices, who have climbed a variety of places and experiences, and have informally taught climbing skills to friends. Completing instructional/guided courses and/or having taught courses is a plus but not necessary.